Their customers then use this information to review display execution, suggest new executions to suppliers, and use retail space photos to train sales teams, lessening the burden for company representatives to visit each store. They also aggregate this information for industry analysis, identifying trends and brands that are high performers. What cell service are customers using? How many pictures are being uploaded? What platform features are customers using most frequently? How frequently are they using it? How many reps within a company are utilizing it? The company wanted to use this information to optimize the way sales representatives use the site and app, helping increase adoption and eliminating churn. 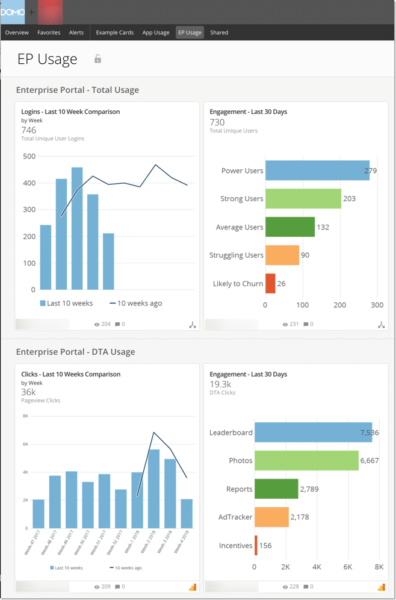 Blast Analytics & Marketing partnered with them to develop dashboards, using Domo, that would help answer these business questions. The first step was to identify the data requirements essential to understanding how users interacted with their app and improving their understanding and behavior of their users. Google Analytics was implemented via GTM to track both the portal and app. 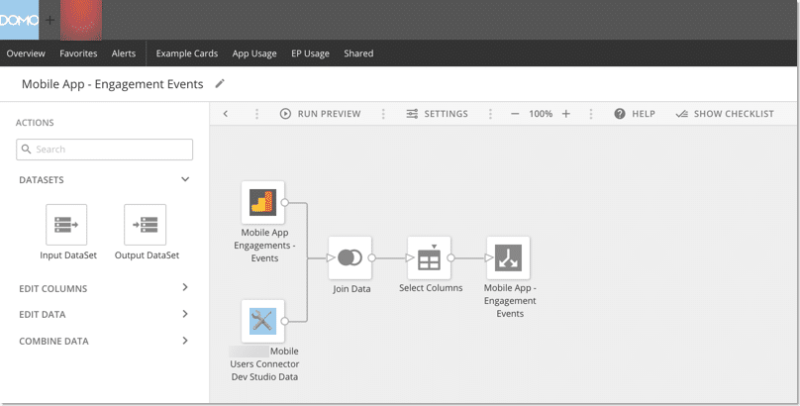 The Domo API connector to Google Analytics was used to pull data into Domo. 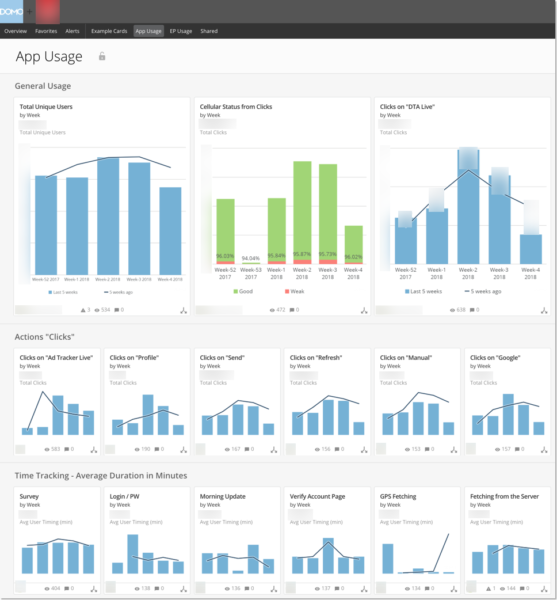 Finally, an ETL process was setup within Domo to pull in sales representative user information. 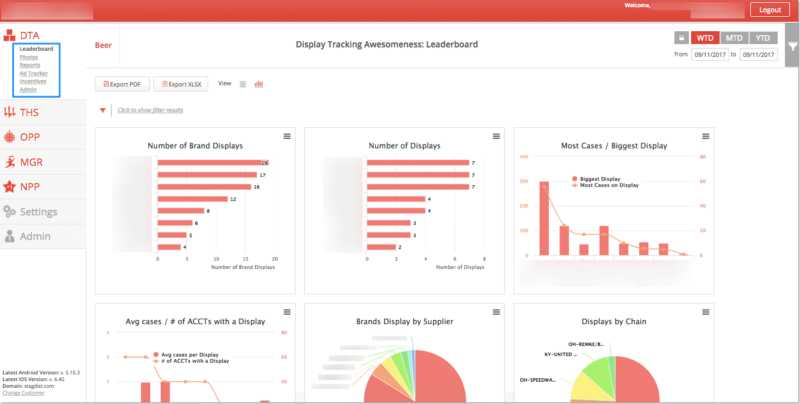 This information was then joined with anonymous Google Analytics data to build rich user profiles, and Domo dashboards were created. This has allowed the company to tailor their field marketing initiatives to regions where they are most vulnerable to losing customers. By focusing on these regions, they increase ROI for their field marketing events, and decreases customer churn.